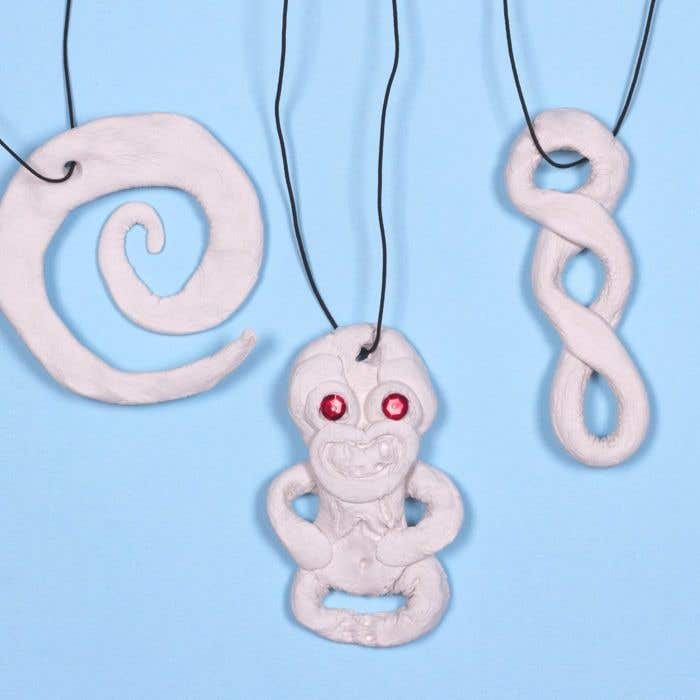 Create your own faux bone carving necklaces using air dry clay. You can make a Koru, Hei tiki and twisted themed designs. 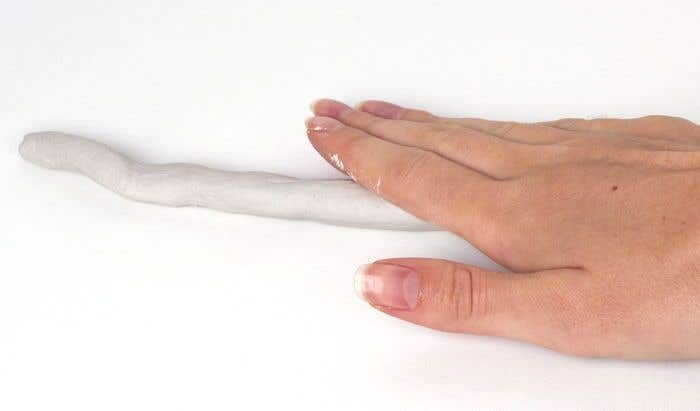 Take a section of air dry clay and use your hands to roll it into a long thin roll, approximately 30cm long and 1cm wide. 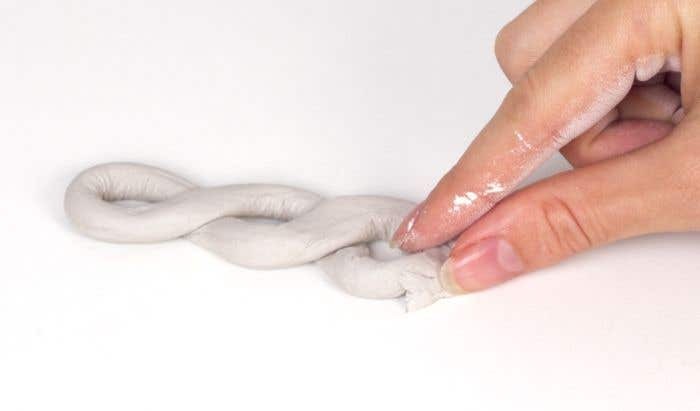 Bend the roll of clay in half and twist it around itself to form the twisted shape. Push the ends together and then leave to dry. Cut a length of black elastic and thread it through the hole in the top of the twisted clay. Tie the ends together to create the necklace cord. Take a section of air dry clay and use a rolling pin to roll it flat. Use a cutting knife to carefully cut out the spiral shape. Then use scissors or the end of a pencil to make a small hole in the top of the spiral. Leave to dry. Cut a piece of black elastic and thread it through the small hole in the clay. Then tie the ends together. Take a section of air dry clay and mould it into an oval shape. Then take some more clay to make a face shape and stick the face to the oval. Take some smaller pieces of clay and roll them into thin rolls to create the arm and leg shapes. Stick these to the clay you created in step one. Use small pieces of clay and the tip of a pencil to create the details. Then push two red sequins onto the eyes. Use the tip of a pencil to make a small hole in the top of the clay Hei Tiki shape. Then leave to dry. 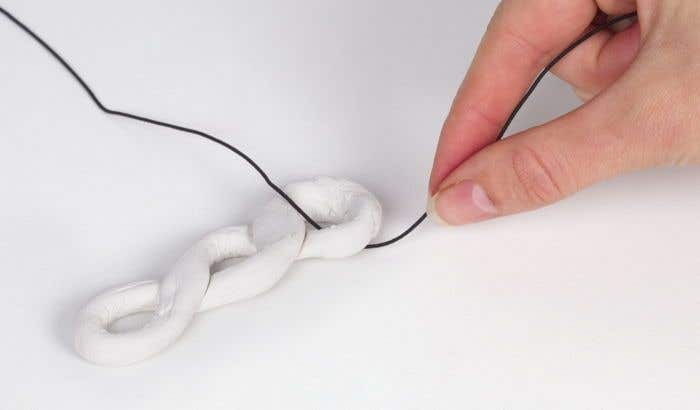 Cut a piece of black elastic and thread it through the hole in the clay, then tie the ends together in a double knot. Leave the clay to dry overnight to be sure it is completely dry.